Are you tired of your business flying under the radar? Fly a custom flag instead! Read to find out how it can help. How can you make your establishment stand out on the strip when you're working with a small business budget? Marquees and signs that will stand up to harsh conditions are for the superfluous spender, and you need that money to go towards your quality products and dedicated staff. A custom flag may be the answer you're looking for. Not only will a colorful feather flag draw the eye of anyone who passes by, but it will also subconsciously instill brand recognition. You already know you're the best of the best, but displaying a flag will make your brand one that locals recognize and trust. Here are a few reasons a custom flag might be the finishing touch your storefront needs. While renting ad space, running commercials, or hiring a branding company are all effective means of getting your business's name out there, they can be extremely expensive. Why not opt for a supplemental method of marketing that won't put a huge dent in your budget? In addition to calling attention to your business, a feather flag is also a cheap way to let the public know if you're running a sale or special offer. You'll be able to keep your potential customers in the know without breaking the bank. Feather flags are extremely easy to assemble and disassemble. This means that when you catch news of a storm or bad weather, you'll have no problem breaking down your flag and storing it inside to keep it safe. 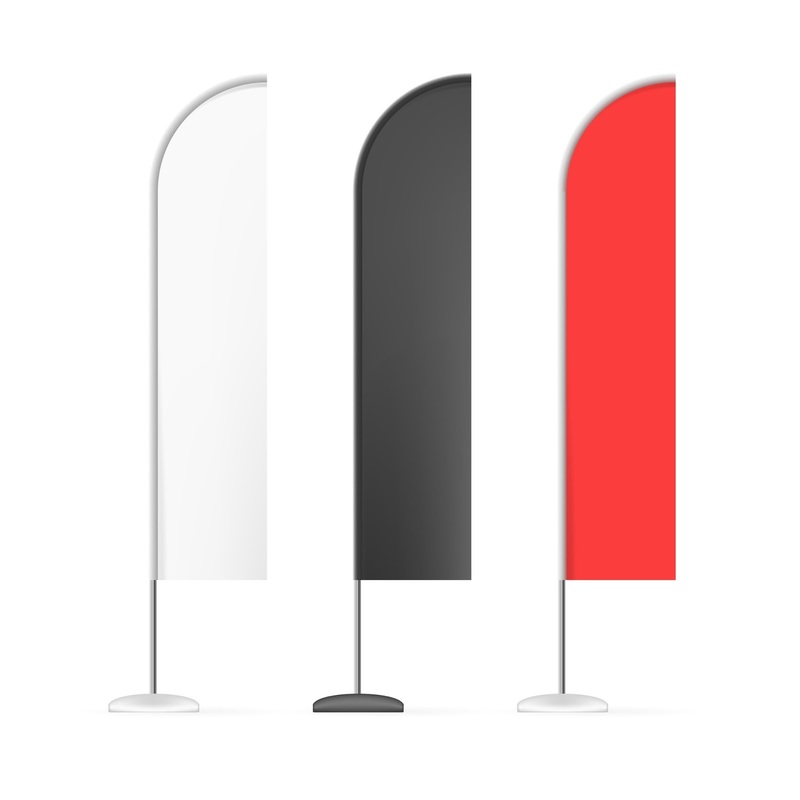 Additionally, your flag will be lightweight and easy to move from place to place. This means that if you wish to move it based on traffic patterns or the time of day, you can do so with ease. You'll be able to ensure that the highest number of people view your advertisement, and you won't have to carry around a cumbersome piece of hardware. The location of your custom flag in relation to your business is actually more likely to catch the eye of bystanders. This is because of its unique vertical shape and bright colored fabric. While other businesses will display run of the mill signs that people have trained themselves to overlook, you can use just a few feet on the edge of your property to advertise with a twist. To display custom flags outside of your business is to show potential customers that you care and are ready for their patronage. Don't fly under the radar any longer, the vibrance of your business is something your community should know about.